Barry Smith has been appointed as the new manager of Raith Rovers on a two-year contract after leaving East Fife. He replaces John Hughes, 52, who left Rovers following their relegation to Scottish League One. The Kirkcaldy side finished second bottom of the Championship and lost their play-off semi-final against Brechin City. Former Celtic player Smith, 43, previously managed Dundee, Alloa Athletic and Aldershot Town. He managed in the second tier and the top flight with Dundee and has taken charge of more than 200 matches at first-team level. 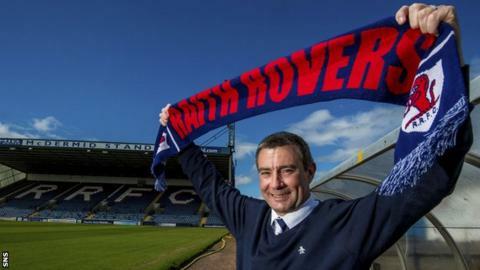 "Everyone at Stark's Park extends a warm welcome to our new 'gaffer'," said Raith Rovers on their website.